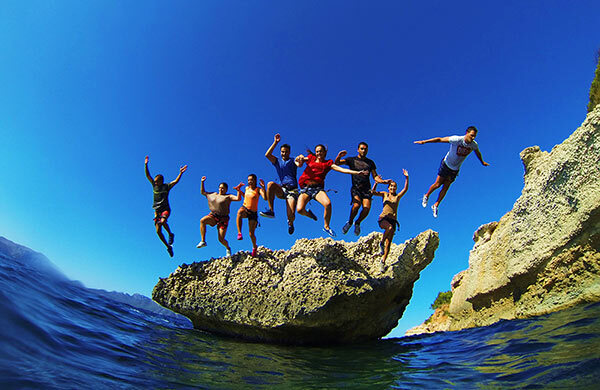 Coasteering Mallorca: Meet the wildest mallorca and access the most hidden corners practicing coasteering! 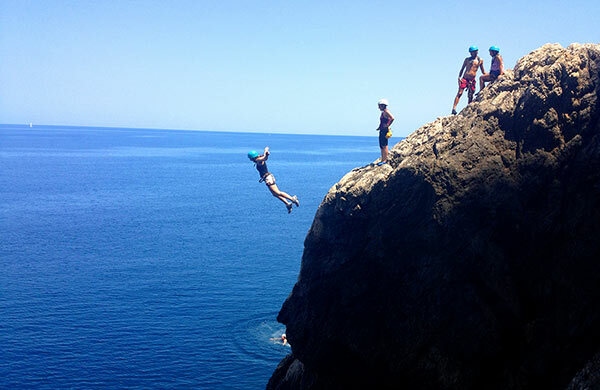 Meet the wildest Mallorca and access the most hidden corners practicing Coasteering! Practice Coasteering in Mallorca is the best way of combining sea and mountains, as we'll follow the seaside shoreline as we discover the most hidden corners of the island. The guides of Món d'Aventura will lead us to discover the most unspoilt corners in a suitable route for everyone. Coasteering is an excursion on the coast where hiking and adventure activities for all levels are combined. It consists of a mixture of water and land activities that will make us enjoy a day full of sensations: we’ll walk on the sea cliffs, we’ll climb above water at low altitude, we’ll jump into the water from heights that will raise the adrenaline pumping, we’ll abseil and climb, we’ll snorkel and see underwater background, we’ll go into aquatic and terrestrial spectacular caves... all while enjoying the clearest waters of the Mediterranean! 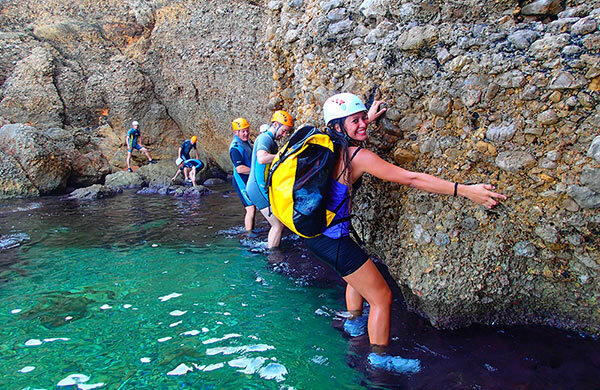 For the most adventurous, Món d'Aventura offers the option to Coasteering including ultimate adventure activities: advance by climbing over the sea, cross a cove with a zip line over the sea, jumps into the water from the maximum heights, dive and swim in an underwater cave and step a hidden beach inside. In addition, to finish the tour, we’ll have the option of return by speedboat and contemplate Mallorca from another perspective. We can choose between different degrees of difficulty depending on the Coasteering level we believe most appropriate.